Eastside Distilling has teamed up with country music singer and songwriter John Rich to create a unique “American blended” whiskey that is unlike anything else available. The partnership ultimately resulted in Redneck Riviera Whiskey, a spirit that is part of Rich’s Redneck Riviera brand and is now available at Payless Liquors. What Is Redneck Riviera Whiskey? Redneck Riviera Whiskey is an American whiskey that is a blend of two premium whiskeys, both aged for at least two years in oak barrels. One of the whiskeys contains sweet grain and malted barley, while the other features Midwest corn that provides a smooth flavor that evokes caramel corn from a county fair. The overall whiskey blend contains at least 20% whiskey, which means the spirit has gone through the minimum aging requirement and is composed of around 51% grain. The aroma of Redneck Riviera Whiskey foreshadows the sweetness of the spirit, a combination of butterscotch, light vanilla, and caramel, all complemented with a touch of honey. Every sip of this whiskey introduces a rich, complex combination of honey, dark stone fruit, oak, and vanilla to the consumer’s palate, a blend that the earthy grains later round out. The whiskey tasting experience finishes with smoother, more subtle tastes of vanilla, honey, and oak. 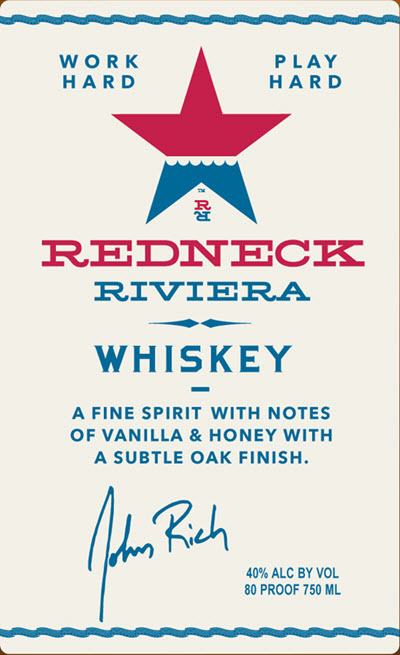 Redneck Riviera Whiskey is the perfect companion to any cocktail of your choice. It is equally delicious with a splash of your favorite mixer or as the base for an Old-Fashioned cocktail recipe. The versatility of the smooth spirit makes it a great choice no matter how you like your whiskey, whether you prefer yours on the rocks, or neat in the glass. 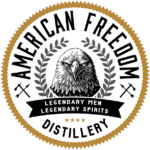 Its versatility and smooth flavor make this whiskey stand out and embody hard-working American values. Eastside Distilling is the nation’s first publicly-traded distillery, located in Portland, Oregon’s distillery row. Since its founding in 2008, Eastside has been producing award-winning craft spirits using natural ingredients to guarantee both taste and quality. Some of Eastside’s notable products include Redneck Riviera Whiskey, Hue-Hue Coffee Rum, and Portland Potato Vodka. Experience the Redneck Riviera Whiskey now at Payless Liquors, with a measure of 40% ABV or 80 proof, per 750 mL bottle, costing $29.99 each. 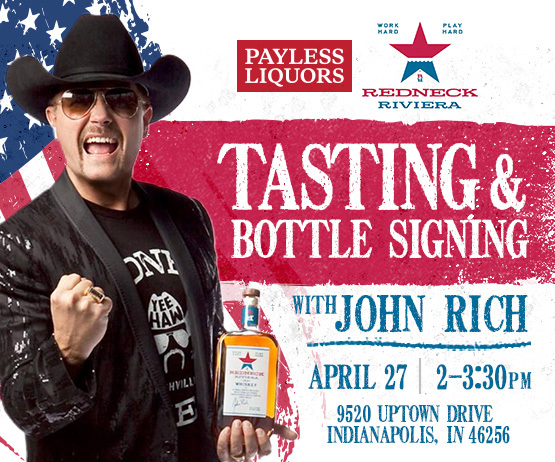 In addition, look out for the upcoming Redneck Riviera Tasting event featuring John Rich himself. John will be at Payless Liquors, at Uptown Drive on April 27th from 2:00 – 3:30pm. Get your engines revving Indy! Peach and whiskey lovers alike can celebrate the latest limited-edition whiskey from Crown Royal, one of the leading producers of fine Canadian Whiskey, available from Payless Liquors. Crown Royal is renowned for its smoothness and unique flavor, and the master blenders at Crown Royal have successfully extracted the best bits of juicy Georgia peaches to create a vibrant and delicious new limited-edition whiskey. Whiskey connoisseurs know to spot great whiskey. 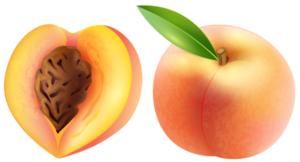 Crown Royal Peach has a scent of fuzzy peach skins, oak, and hints of warm spice. On the palate you’ll enjoy the sweet tang of fresh Georgia peaches and creamy vanilla with the bold taste expected from one of the world’s most reputable whiskey manufacturers. The finish is sweet and smooth, and you can easily enjoy Crown Royal Peach Whiskey neat, on the rocks, or mixed with iced tea for a delicious and refreshing cocktail. Crown Royal lovers will appreciate the newest addition to the line of flavored whiskeys from Crown Royal. If you enjoyed Crown Royal Apple, Vanilla, Texas Mesquite, or Salted Caramel, be sure to try Crown Royal Peach at your next opportunity. The delightful sweetness and rich, flavorful notes play well with the bold Canadian whiskey taste you expect from Crown Royal. Every batch is handcrafted and patiently aged to create the bold, yet smooth, flavor that has become the trademark of Crown Royal whiskey. Established in 1939, Crown Royal has a nearly 100-year history of crafting some of the finest whiskey blends to ever leave Canada. Crown Royal is well-known for an unmistakable smoothness unmatched by other whiskey makers. All Crown Royal varieties are fantastic on their own or mixed into cocktails. Enjoy your favorite whiskey cocktails with the signature smoothness of Crown Royal. The newest Crown Royal Peach Whiskey edition is sure to inspire some new creations. Customers can expect the same finely-crafted signature Crown Royal bottle in the usual cloth pouch, but the Peach edition fittingly comes with a peach-colored cloth pouch in lieu of the traditional purple. 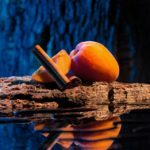 Peaches are one of the most popular fruits in the country, and our Canadian friends to the north decided to blend the signature sweetness and flavor of fresh Georgia peaches with some of the finest-crafted Canadian whiskey for a remarkable new experience. Both whiskey aficionados and casual whiskey drinkers will enjoy Crown Royal Peach. While most whiskey drinkers do not enjoy super sweet whiskey blends, Crown Royal Peach manages to capture the deliciousness and intensity of Georgia peaches without erring on the side of being too sweet; whiskey lovers can sip it neat or on the rocks for a delightful twist on the usual whiskey drink. Flavored spirits are growing increasingly popular across the country, and Crown Royal Peach is sure to turn heads and create new whiskey lovers. Visit Payless Liquors to find out more about Crown Royal Peach and try some for yourself. Experiment with this delightful limited-edition whiskey and find a new cocktail that’s perfect for relaxing in the summer months. Canadian Club Chronicles 41-Year-Old whiskey is the oldest bottling of Canadian whiskey on the market. It is Jim Murray’s Whiskey Bible 2019’s Whiskey of the Year. It is a sought-after limited-edition whiskey, with hints of caramel, toasted oak, vanilla, spice, dark plum, and subtle rye. It comes from a proprietary mash that has aged since 1977 in Canadian oak barrels. 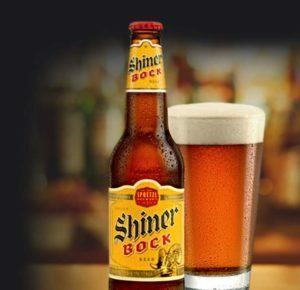 It is liquid gold, boasting a complex taste that’s both smooth and satisfying. Unlike bourbon, which manufacturers must age in new, charred oak barrels, the type of barrel does not matter for Canadian whiskey. The barrel can be charred, uncharred, new, or old. Canadian whiskey consists of several different grains, but (again, unlike bourbon) each grain goes through fermentation, distillation, and aging separately. Manufacturers do not blend the grains together until the very end of the process. This means the amount of rye whiskey creators add to each blend can vary significantly. History of Canadian Whiskey in the U.S.
During the Civil War, the shutdown of American distilleries moved much of the business to Canada. That shut down sent many early distillery pioneers to Canada to continue to hone their craft. By 1900, Gooderham & Worts had grown to one of the greatest distilleries in the world. It produced around two million gallons of Canadian whiskey annually at the time. Canadian whiskey entered the United States for the first time during the Prohibition. At first, it was far from a hit – American distillers could purchase Canadian whiskey distilleries for cheap, showing the lack of demand for the product. One liquor salesman at the time, Harry Hatch, bought four of the five largest distilleries in Canada at once: Gooderham & Worts, Corby, Wiser’s, and Hiram Walker. The fact that just a salesman could buy the majority of industry leaders is a testament to Canadian whiskey’s initial lack of popularity. Eventually, the blended whiskey gained popularity and has continued to hold a special place among whiskey drinkers. In 2017, Canadian whiskey generated almost $2 billion in revenue in the United States, with over 17.5 million nine-liter cases sold. Canadian whiskey is the largest imported whiskey type in the United States, worth around $4.8 million retail. Recently, consumers have been experimenting with a wider range of Canadian whiskies. Both high-end premium and super-premium Canadian whiskey brands saw sales growth in 2017 (38% and 48%, respectively). Canadian whiskey is not “brown vodka,” as a common misconception goes. It has a dynamic and complex taste, with a variety of selections aged in many types of barrels with varying recipes. Canadian whiskey is one of the most interesting types of spirits thanks to the leniency of the legal requirements. Makers can craft different flavors and tastes by varying the recipe and barrel used for aging. Each bottle can taste brand new. Despite the almost limitless taste options, most Canadian whiskey distilleries stick to age-old recipes and production processes. Canadian distillers offer quality products they’ve made the same way for decades. Most Canadian whiskies have a majority of corn spirits, along with rye grain. Flavorful rye grains became so popular in the recipe that many people began referring to Canadian whiskey as “rye whiskey,” and today the two terms are still interchangeable. Canadian whiskey is generally lighter and smoother in taste than other types of whiskies. Most distilleries use majority corn and rye grains, but some recipes also incorporate triticale, barley, or wheat grains. Canadian whiskey tastes delicious straight, but it is also a preferred spirit for mixing into cocktails and highballs. It is a versatile drink with a rich history and a bright future. The recent popularity of brand-new Canadian whiskies – straight rye, spiced, and small-batch – is proof of the drink’s longevity. Canadian Club Chronicles 41-Year Whiskey hit the market in November 2018. It is the very first limited-edition release from the “CC Chronicles” line. It has a 45% ABV, and was blended with small portions of rye, cognac, and sherry. Those lucky enough to have enjoyed a taste of this special whiskey have described it as complex and deep. The aroma is a delicate blend of caramel and toasted oak, with a hint of vanilla and spice. The palette boasts more vanilla, caramel, and oak, along with notes of dark plum, tobacco, and rye spiciness. It leaves behind a warm, lingering finish of caramel and spice. Experts have called this whiskey, “silky smooth,” “exceptionally balanced, “harmonious,” and “extraordinary, yet subtle.” The 41-Year Whiskey taps into the burgeoning market for high-end and premium whiskies in the United States, and comes in a special-edition decanter-style vessel. Each bottle holds 750 milliliters. It is a very limited-edition whiskey, and one consumers are sure to reserve for only the best occasions and once-in-a-lifetime achievements. Treat yourself or surprise a loved one – get your bottle today before they’re gone forever. Since 2013, Orphan Barrel Whiskey Distilling Company has offered an annual limited release of bottles from its Rhetoric Line. The tradition began five years ago with the release of Rhetoric 20. The line continued to grow more sophisticated, complex, and luxurious with each additional annual release. Sadly, this is the last of the Orphan Barrel Rhetoric line. With an additional five years of age and sultry new taste notes – Rhetoric 25 is here for a limited time. This line of bourbon retires with the refined dignity that gets better with age. Don’t miss the chance to take home a bottle. About The Orphan Barrel Whiskey Distilling Co. The Orphan Barrel was born from a mission to share the country’s lost, great whiskeys, found or abandoned in the backs of distilleries and rickhouses – hence the name “Orphan Barrel.” When the company recovers these rare and spectacular barrels, every batch is bottled by hand to ensure quality control and a perfect product. Bottling and distribution take place in The Orphan Barrel distillery in Tullahoma, Tennessee. The location and culture of the company speak of Smoky Mountain roots, mixed with the tradition of Kentucky distilleries and the hip edge of neighboring Nashville distilleries. Though this is the last edition of Rhetoric for the small enterprise, they continue to release many special whiskeys and bourbons. The nature of bottling, sharing, and preserving these limited forgotten barrels, means that once Orphan Barrel releases are gone – they’re gone forever. The Rhetoric line is mature, complex, and a little bit of fun. Orphan Barrel is rumored to have come upon the barrels in an old Bernheim Distillery in a warehouse for Stizel-Weller. That can’t be confirmed by our sources, but it is certainly clear that the whiskey has a complex and dignified pedigree. The barrels were certifiably distilled in the early 90s. Rhetoric is a real hidden gem of a true Kentucky bourbon whiskey, and hits hard in all the ways that one expects from a straight bourbon whiskey. Velvety, rich notes of flavor help it go down smoothly, softening that edge and sting. Over five years of releases by The Orphan Barrel, have allowed those lucky enough to purchase the limited bottles a chance to witness the evolution of this vertical release. In 2013, The Orphan Barrel released the first batch of Rhetoric after discovery – Rhetoric 20. After 20 years of maturing, the flavors proved to be quite profound. The first notes of Rhetoric 20 are leathery and smoky – reminiscent more of sweet tobacco pipe smoke, rather than peat-heavy scotch. The smokier, more masculine notes give way to toasty, oaky, and vanilla sweetness. The full finish hints to chocolate and cherry. The subsequent releases of Rhetoric 21, 22, 23, and 24 have met mostly positive reviews. The greatest criticism of the latter two whiskeys is that the tannins are stronger due to the advanced age. However, some tasters love the slightly more complicated flavor and stronger proof. For most bourbon aficionados, the qualities that make the first releases great are only enhanced by the passing of time. Nevertheless, there is a limit on how long vintages of this nature are viable. Most whiskeys peak around 20 years, and must meet certain parameters to age well beyond that. Rhetoric has enjoyed more years of great flavor, but every good thing must come to an end. That is part of what makes this vintage so special and valuable – it is the last of a set that tells a rich story of flavor and discovery. Rhetoric 25 is set for release with the New Year. It will come in the customary 750ml trademark Rhetoric bottle. It is a stout 91 proof. While some flavor notes have stayed constant throughout the years of release, this edition is said to have more spice, dark caramel, and cocoa flavor. The high proof is detectable in the nose, but the taste is as silky, chocolaty, and toasty as ever. For inquiring minds, the company released a mash breakdown. Rhetoric’s low rye composition results in a smooth easy drinking whiskey with just enough bite to remind you of its roots. The retail cost of a bottle varies, but the market is competitive because many die-hard enthusiasts hope to complete a set. For those in the market for a bottle – know that supplies will not last. This is a Kentucky bourbon with a mysterious pedigree, and a story of salvation in the Tennessee hills. After a long run of satisfying libations, this batch is the end of an era. Enjoy the last Orphan Barrel release of Rhetoric 25 while it’s here. Do you remember the Crown Royal “Bourbon Mash” to “Blender’s Mash” incident earlier in the year? The Crown Royal Noble Collection 13 Year Old Blender’s Mash is the end product in all this confusion. Though it wasn’t Crown Royal’s fault that the U.S allowed Crown to use the name but later changed it’s mind. In essence, The 13 year old Blender’s Mash from the Noble Collection is the most bourbon like Canadian whiskey you’ll find. This is the third installment in the Noble Collection, which is an annual, limited release series by Crown Royal. This blend is 60% corn, 36% rye, and 4% barley malt, and has been aged in New American Oak barrels for at least 13 years – making this the oldest age statement released from Crown Royal to date. Nose: Starts with sweet vanilla, notes of orange, and nutmeg with hints of oak undertones. Palate: Mellow and creamy, yet rich vanilla that is not overly sweet. There is a mild tartness from green apple flavors. This gradually transitions into a spicier, oak and rye-forward flavor. Finish: As the spices go down the back of your mouth you can taste undertones of caramel. Once that passes your mouth is filled with the flare of rye spice and that gradually eases into another wave of smokey caramel. The recently awarded 13-year old Blender’s Mash is available at Payless Liquors for $69.99. Perfect for those looking for a more premium Crown Royal or those interested to try the most bourbon like Canadian Whiskey! 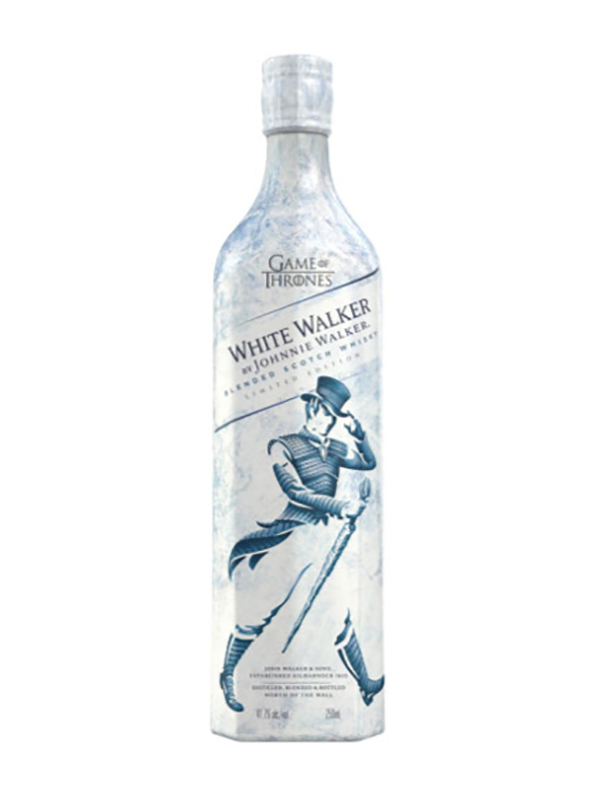 In celebration of the final season of the critically-acclaimed HBO series, Game of Thrones, Johnnie Walker is proud to introduce White Walker by Johnnie Walker. The single malt whiskey takes its name from the feared supernatural creatures who inhabit the frozen lands north of The Wall on the fantasy megahit. This new blend perfectly reminds Johnnie Walker and Game of Thrones fans alike that “Winter is Here.” The limited-edition bottle utilizes thermochromic ink to give fans a frosty surprise message when frozen. With flavor notes like caramelized sugar, vanilla, and fresh red berries, White Walker by Johnnie Walker makes for a delicious serve. The new blend is best-served ice cold, inspired by the White Walkers beyond The Wall. The limited-edition whiskeys are inspired by the iconic characters and the creative world of Westeros and beyond and are here to tide fans over during their wait for the eighth and final season. Even the most revered Maester couldn’t have predicted a collaboration of this monumental proportion. “Groundbreaking partnerships continue to be a strategic initiative for Diageo as they foster exceptional creative collaboration and help showcase the breadth of our portfolio. We are very proud to have our collection of single malts and Johnnie Walker, the number one Scotch whiskey brand in the world, collaborate with HBO’s most successful TV franchise to develop these limited-edition offerings for fans to collect and celebrate the final season of Games of Thrones,” said Dan Sanborn, Senior Vice President, Culture and Partnerships at DIAGEO. “We knew there was fan appetite for a Game of Thrones whiskey and once we saw Diageo’s vision for a way to collaborate together we knew the idea was perfect and the time was now. From the beginning, they understood that we wanted to create something special, and they’ve accomplished that with both White Walker by Johnnie Walker and the single malt collection. We’re confident fans will enjoy sipping these delicious whiskeys as they wait for season eight and beyond,” said Jeff Peters, Vice President, Licensing & Retail at HBO. Be sure to come in and grab your very own bottle to celebrate the final season!! The fourth and final version in Old Forester’s Whiskey Row series has been released. 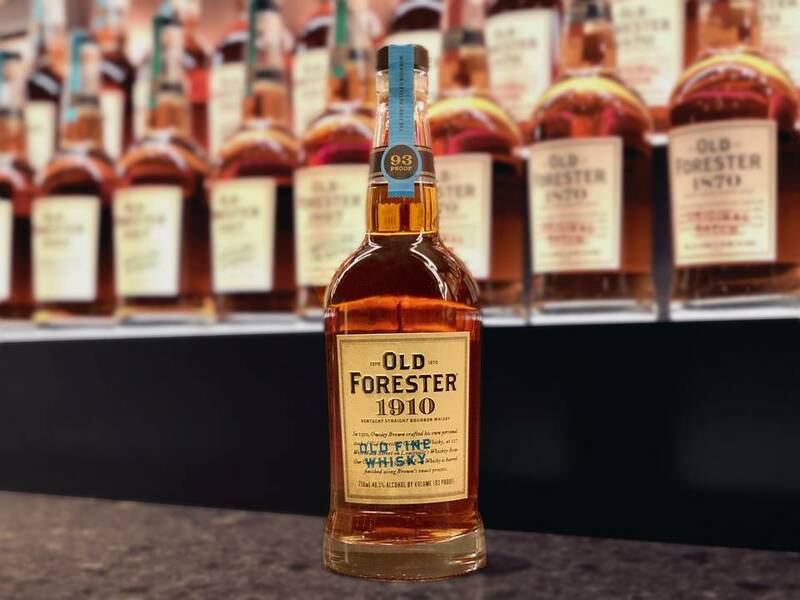 The 1910 Old Fine Whiskey, a double-barreled whiskey, represents a specific point in Old Forester’s storied 150-year-old history. A fall fire that happened at the distillery in 1910 spurred a happy accident that led to the casking process that led to the Old Fine Whiskey. Started in 2014, the Whiskey Row series tells the story of Old Forester’s one-of-a-kind history, highlighting significant milestones and innovations in production along the way. This series includes the 1870 Original Batch, a small batch bourbon pulling from three distinct warehouses, meant to reference founder George Garvin Brown’s original batching process; the 1897 Bottled in Bond, a small batch of barrels from one distilling season, in the same year, aged in a federally bonded warehouse for a minimum of four years; and 1920 Prohibition Style, which represents a barrel strength of the prohibition era when Old Forester was granted one of just ten permits nationally to continue being sold as a medicinal whiskey. The last of the series is the 1910 Fine Old Whisky. On one October day in 1910, a fire caused the bottling line to be shut down at Old Forester’s distillery for an extended period of time. To make things worse, there was a vat of mature whiskey waiting to be bottled. 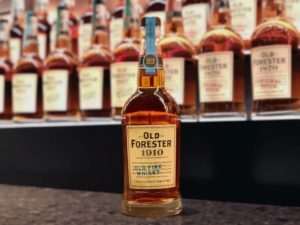 Instead of pouring out the whiskey or letting it sit until ruin, the distillers at Old Forester decided to store the vat in new, charred oak containers until the line could be repaired. This resulted in the first documented double-barreled whiskey, which was new for Old Forester and remarkable enough to become a new barreling method. In order to replicate the 1910 methods, the distilling team took mature bourbon from their inventory and had it go through a second barreling process in a lightly toasted, heavily charred barrel. I was then bottled at 93 proof. At 93 proof, this whiskey is at the right weight to challenge the other Whiskey Row Series. Popular opinion has the Prohibition 1920 series as the favorite, but with 1910 coming out, there could be a new favorite of the series. The finished product has aromas of buttercream, sticky toffee, cedar, and apricot, with smooth, well-rounded taste mingling sweet oatmeal raisin cookie and milk chocolate, leading into caramel corn and evolving spice, according to Old Forester’s tasting notes. We have a limited supply of this limited-edition whiskey. Be sure to call us and reserve your bottle of this one-of-a-kind series.